Logo and branding. UX, UI & interaction design. Front-end and back-end development. SMS Integration. Accident Claims Calculator. Conveyancing Calculator. 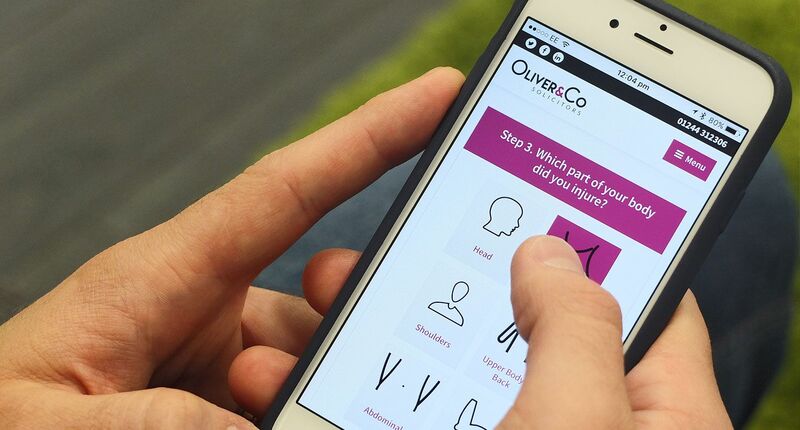 Oliver & Co required a fresh, modern & fully responsive website that would elevate the new rebrand; repositioning them amongst major national firms. The aim was to increase overall enquiries, increase brand awareness and build their customer database with more conversion tools. We produced a sharp, approachable and functional WordPress website from concept to go-live inside of four weeks. Working with industry leaders and outstanding professionals have always been mantras we’ve followed here at Limely. Back in July, we were pleasantly surprised when one of Chester’s largest and most prestigious law firms, Oliver & Co, decided to place their rebrand and redesign in the hands of our talented team. After multiple revisions and type suggestions we arrived at the new brand and successfully rolled it out within a 4-week timeline across all marketing communications; including a new website, signage and posters for the newly refurbished office. 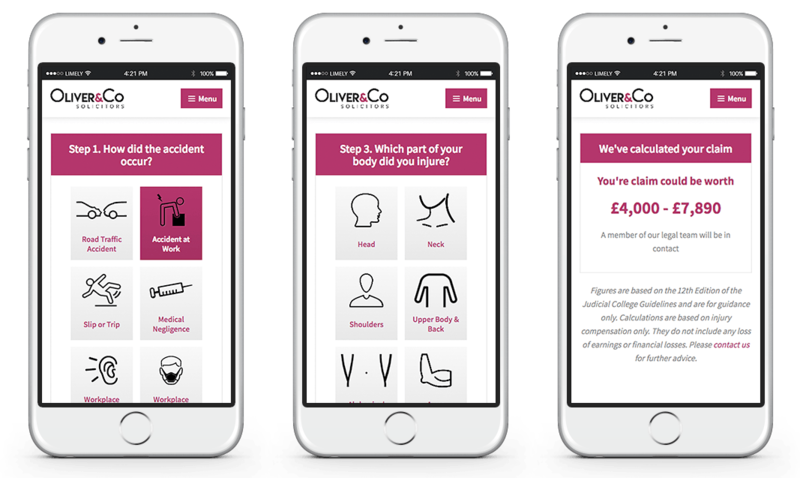 The new site includes bespoke Accident Claims Calculators, Conveyancing Calculators & integration into the TrustPilot reviews platform. Here’s to the next 50 years! Oliver & Co recently left the QualitySolicitors group of firms and required a new brand mark to establish themselves as a top legal practice in both local & national industry circles. We worked closely with their senior partners to re-align their messaging and marketing assets to ensure the entire team would get behind the new brand. Take a look below at some of the brand suggestions we pitched to the team until we eventually decided on the final logo design. Would you love to work with us? At Limely, there's no account managers, no middlemen and no nonsense - just straight-talking, knowledgeable folk who are here and ready to help. I give permission for Limely to use my personal data to contact me. For more information, click here. Enter your details below so we can send your quote.